Brenda Fricker, who won a Best Supporting Actress award in 1990. THE NOMINATIONS FOR this year’s Academy Awards were announced this week, when Irish-produced film The Favourite received ten nominations. And there was good news for Irish film in other categories, with animated short Late Afternoon and live action short Detainment also picking up nominations. To mark another successful year for Irish cinema, we’re testing your knowledge of our winners from years gone by. Cedric Gibbons was Ireland's first Oscar-winner in 1930 for his part in the production of The Bridge of San Luis Rey. What category did he win in? For which film did George Bernard Shaw win Best Adapted Screenplay in 1939? Who became Ireland's first female Oscar winner in 1981? 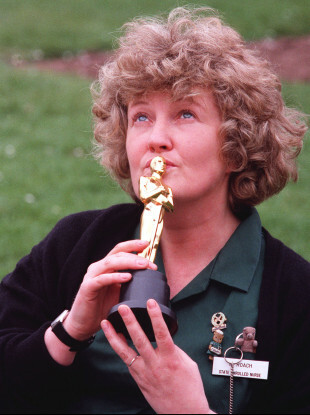 Brenda Fricker won Best Supporting Actress in 1990 for which film? 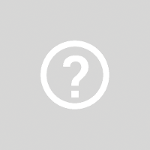 Which Neil Jordan film won an Oscar for Best Original Screenplay in 1993? Barry Fitzgerald won Best Actor in a Supporting Role for Going My Way in 1944. What did he become the first person to do when he was nominated? What was the name of the song for which Glen Hansard won an Oscar for Best Original Song in 2008? Which film did Martin McDonagh win an Academy Award for? Richard Baneham was part of a team that won in 2010 for Best Visual Effects on which film? And finally, Ranelagh-born Maureen O'Hara won a lifetime achievement Oscar in which year? Email “Quiz: How much do you know about Ireland's Oscar winners?”. Feedback on “Quiz: How much do you know about Ireland's Oscar winners?”.